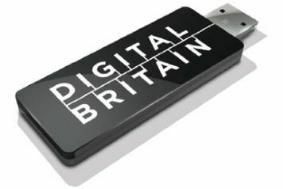 UPDATED: Lords amendment to Digital Economy Bill 'could threaten freedom of speech' | What Hi-Fi? The Government's controversial Digital Economy Bill has moved a step closer to becoming law after the House of Lords last night approved the proposals. Despite reservations from a number of peers, the scheme – which includes the three strikes rule to cut off internet access for alleged file sharers – will now be put before MPs, with the Government hoping that it can pass into the statute books before the general election. Yesterday the Liberal Democrats amended their amendment 120A to give websites that had been blocked for alleged copyright infringement some legal recourse. The heads of the four largest UK internet service providers – BT, Orange, Virgin Media and TalkTalk – have written to the Financial Times objecting to amendment 120A to the Digital Economy Bill. The four ISPs – as well as Google, Facebook, eBay and Yahoo – have all signed the letter, saying the amendment could threaten freedom of speech and will lead to British websites being blocked without due judicial process. They argue that the rules, if they become law, would fail to tackle copyright infringement as intended and the amendment has "obvious shortcomings". The letter to the FT says: "Endorsing a policy that would encourage the blocking of websites by UK broadband providers or other internet companies is a very serious step for the UK to take. "There are myriad legal, technical and practical issues to reconcile before this can be considered a proportionate and necessary public policy option." The House of Lords last night voted against part of the Government's Digital Economy Bill – and voted for an amendment from the Tories and Liberal Democrats that could block copyright-infringing sites such as YouTube in the UK. The new proposal – which was passed in the House of Lords by 165 votes to 140 – gives a High Court judge the right to issue an injunction against a website accused of hosting a "substantial" amount of copyright infringing material (such as films or music), potentially forcing the entire site offline. The so-called "Preventing access to specified online locations" clause could have severe implications for popular video-sharing sites such as YouTube. Putting forward the amendment, Lib Dem peer Lord Clement-Jones said it would placate concerns over the proposed "three strikes" rule – which could mean those accused of sharing files online illegally having their internet connections cut off – and added that it was "a more proportionate, specific and appropriate way" to approach copyright infringement than the Government's previous proposals. But critics argue that the amendment could lead to "a massive imbalance of power in favour of large copyright holding companies", with individuals and businesses open to copyright attacks that could shut them down.